Repetitive motion injury that might lead to Iowa Workers' Comp claim? What is a common injury associated with a repetitive motion that might lead to an Iowa Workers' Compensation claim? There are a few injuries that are associated with repetitive motion and may lead to an Iowa Workers' Compensation claim. When you have suffered a repetitive injury and are unable to work, you may find it necessary to seek legal counsel from a Des Moines work injury lawyer. A repetitive injury can worsen over time and may require medical treatment. It is also a common type of injury that can lead to temporary disability. Bursitis – inflammation of the bursa sac, in between the tendon and bone, with the knee, hip and elbow being the areas most commonly affected. Work duties such as typing, assembly line work and lifting objects are some examples of what can lead to a repetitive injury. 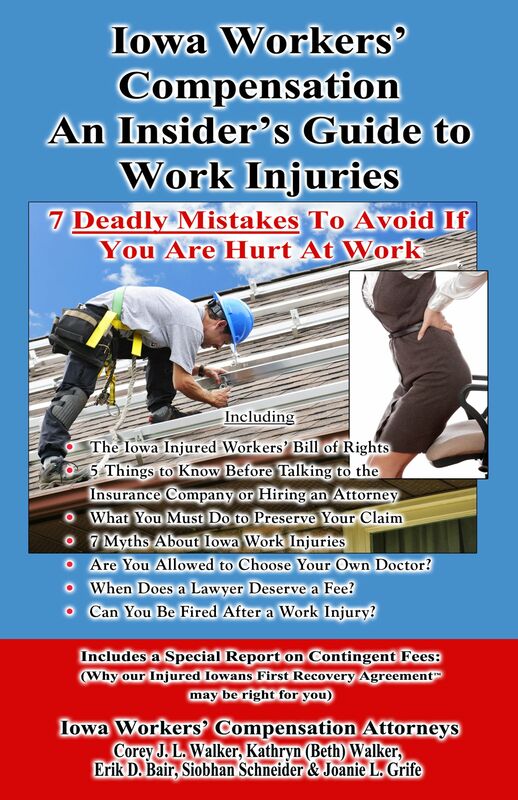 When you have difficulty with filing your Iowa Workers' Compensation claim or if you believe that your claim was wrongfully denied, it may be in your best interest to speak with a Des Moines work injury lawyer. Although you may be entitled to Workers' Compensation benefits, your employer or the insurance company may try to deny your claim. A lawyer who handles these types of cases may be able to help assemble medical evidence that will demonstrate your injury being a result of work duties. The lawyer team at Walker, Billingsley & Bair work hard to level the field between injured Iowans and insurance companies. To learn more about what our legal team will do to help you protect your Iowa Workers Compensation claim, contact Walker, Billingsley & Bair to schedule a no-cost consultation. Call 1-(888) 435-9886 for immediate legal assistance.